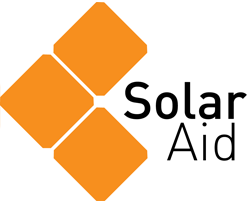 SolarAid is an international charity, founded in 2006 to combat poverty and climate change. We provide access to solar lights in Uganda, Malawi and Zambia to help catalyse solar markets and eradicate the kerosene lamp. Where do we sell solar lights? We work in Malawi, Zambia and Uganda through our social enterprise SunnyMoney. We plan to expand into other countries and will be sharing ideas and strategy with organisations throughout Africa soon. We really want to fundraise for you... tell us how! Brilliant – you can discover ideas for what you can do, find out what others have done or directly donate. If you want to do something different, just let us know what you fancy by contacting Grace on info@solar-aid.org or +44 (0) 207 278 0400. How much CO2 do the solar lights save? Use of solar lights means families no longer need to keep kerosene lamps for lighting. It is estimated that a single kerosene lamp emits one tonne of carbon over a lifetime of five years (Lawrence Berkeley National Laboratory, 2011). It’s ‘black carbon’ too – the worst form of carbon emission. How can I buy some lights? We’ve got that covered! You can buy from our eco-gift shop. Can you tell me more about SunnyMoney? SunnyMoney is a social enterprise owned by SolarAid (it brings a smile to people’s faces when you say it!). Visit www.sunnymoney.org to learn more. I represent a business. How can we help? SolarAid believes in business-based solutions to poverty, so we’d love to hear from you. Visit our fundraising page to find out what you can do, join the work place giving scheme or drop us an email on info@solar-aid.org if you have your own ideas. I work for an NGO and would like to partner with you. Can you tell me how? Brilliant, we’d love to hear from you. Simply email info@solar-aid.org with your area of interest and contact details, so we can put the right person in contact with you. Can I volunteer in your London office? When there are opportunities for internships we post them on our jobs page. Also don’t forget you can help us spread the word about SolarAid amongst your network of friends and contacts. Check our Join The Movement page to see how people are helping us. What’s the customer savings pay-back time like on solar lights in Africa? Local economies vary across Africa, as do the products we sell. It takes approximately ten weeks for people living in sub-Saharan Africa to re-coup their investment in a study light. Customers save because they no longer need to buy kerosene supplies, candles and batteries. Do we subsidise the cost of the light in Africa? We sell lights at a ‘fair market rate’ so that local entrepreneurs and other agencies can join the market and make a profit too. We do this by taking a hit on the distribution costs. The more lights we sell, the smaller the margin becomes. Back in 2010 it cost SolarAid £10 to get each light to a customer. That figure is now only £4.